A revamped edition of Tyrconnell that has moved up in strength from 40% to 43%. This is now the standard expression of this much loved single malt and has apparently been tweaked slightly with a selection of ex-Bourbon barrel matured making up the entire vatting. It is as soft and elegant as ever but perhaps slightly more mature tasting than the previous 40% bottling. Nose Lemons, orange blossom, vanilla, ripe pears, white chocolate, ginger and dusty oak aromas. Palate Juicy and fresh. Lots of fruit flavours with a more tropical slant than the nose suggests. Hints of pineapple, guava, lemon cake, orange juice, vanilla and some fresh oak touches. Surprisingly chewy and mouth-filling with extra spice coming through on the finish. Types of Barrel used for Aging Matured exclusively in ex-Bourbon barrels. This was originally released as a limited edition but proved to be so popular that is made a permane.. The Tyrconnell Sherry Finish was a deserved top prize winner at the 2010 World Whiskey Awards and.. 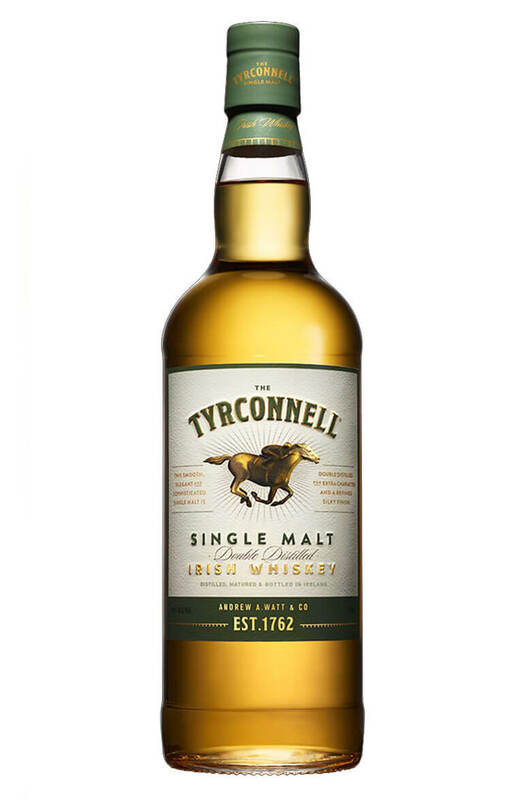 The Port Finish bottling of Tyrconnell is sweet and fruity with delicious flavours of fruit and nut ..
A superb 16 year old single malt from the Kilbeggan Distilling Company. This was double distilled at.. The Tyrconnell 15 Year Old Madeira Finish builds on the high reputation of it's sister bottling ..